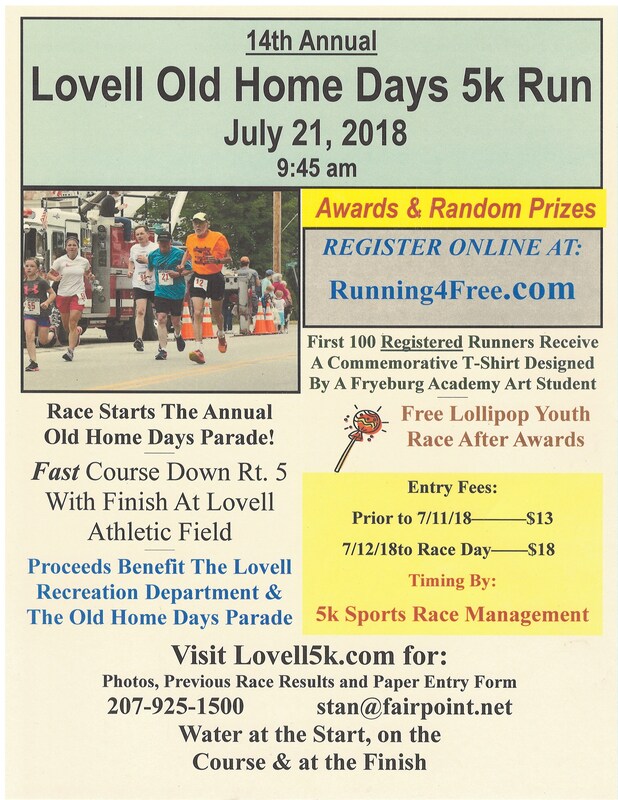 Be sure to sign up for the 14th Annual Lovell Old Home Days 5k Run this Saturday, July 21st! As always, it is a fun and fast course down Route 5 and ending at Lovell Athletic Field. This year a second water table will be on the course, just past the VFW on Smarts Hill Road. Great prizes and t-shirts to the first 100 registered runners. Visit www.Lovell5k.com for more details.